As Quebec’s ambitious “Plan Nord” steamrolls ahead, Inuit, Cree and Innu leaders met last week at the Château Mont Sainte-Anne near Quebec City to discuss the development plan, which Quebec Premier Jean Charest has heavily promoted. • $1.5 billion to link Nunavik up to Quebec’s electrical grid and fibre optic internet network and build a 2,500 km road or railway around Nunavik. 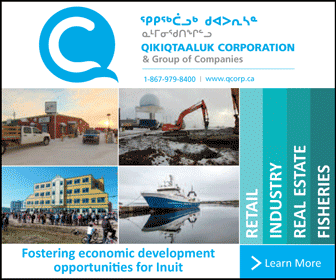 Among the projects also on Nunavik’s wish list, which carry a much smaller cost for Quebec: 1,000 houses, an Air Inuit “aeronautical complex” in Montreal, airport renovations, more paving projects in communities and regional subsidies to offset the high cost of living and transportation. But, by far the biggest piece of the Plan Nord has no set price tag at all — that’s the northern land that Quebec wants to develop through forestry, mining and energy production over the next 25 years. As part of the Plan Nord, Quebec is promising to exclude all industrial activities, like mines and hydro projects, from 50 per cent of northern Quebec and set aside 12 per cent of the territory as protected areas. In Nunavik these proposed protected areas include eight national parks (of which two have been created) and national park reserves as well as 11 proposed protected areas. But it’s development on unprotected lands and rivers — such as the char-rich Payne River — that will allow Quebec to pay for the new houses, infrastructure construction and other subsidies contained in Plan nord. As part of Quebec’s effort to parcel up the north for development, a major fast-tracked consultation on “biodiversity reserves in Nunavik” is getting underway in Nunavik. Its results will eventually be slotted into a section of the Plan nord, called “for a socially responsible and sustainable form of economic development,” according to a presentation made at the recent Kativik Regional Government meeting in Kuujjuaq. Along with the KRG’s renewable resources department, former Makivik Corp. employee and consultant Lorraine Brooke, part of the negotiating team for Nunavik’s offshore agreement, is in charge of the Nunavik-wide consultation set to start in November. During these consultations Nunavimmiut will have chance to say what they think about Quebec’s proposed set of parks and protected areas. Although they won’t be asked whether or not they want to ratify the plan nord, they will at least be able to say what they think about the new protected areas. The James Bay and Northern Quebec agreement does give beneficiaries the right to hunt and fish in protected areas, but when thinking about protected areas, Nunavimmiut could look at the experience of the indigenous Saami who have had 50 years living side-by-side with government protected areas in northern Norway. Many of Norway’s 33 national parks are located in areas where Saami traditionally fish or herd reindeer, notes a policy document from the Norwegian Saami association, which says the protection of areas constitutes a paradox. That’s because implicit in any policy to protect lands is the idea that areas which aren’t protected are somehow less valuable and open for development. As well, protected areas attract the attention of the outside world, drawing many people to them for the unique experience. But their presence also puts pressure on places that thrived on isolation and limited uses. Protection even turns out to have a negative impact on biodiversity and sustainability: restricted into “protected areas,” traditional activities and resources fall under more pressure and previously sustainable livelihoods may collapse. When agreeing to set apart protected areas Nunavimmiut could also look to Nunavut and the Northwest Territories where the numbers of caribou — still plentiful in untouched Nunavik — have nosedived. The number of caribou in the Central Arctic’s Bathurst herd has dropped from 472,000 in 1986 to 32,000, a drop which biologists have linked to increased activity around the region.